Documentary experiment Syria Deeply, "exploring a new model of storytelling around a global crisis," has been conducting a fascinating series of interviews with members of the international media covering a nearly two year-long conflict. For anyone interested in translation and public communication, the interviews have evolved into a portrait of how reality can change depending on the number of translators needed to access it. ND: How did you know that this hospital was the place to be? NT: I knew it existed because the activists talked about it; everyone who got injured, whether they were Free Syrian Army or civilian, was treated here. A lot of the doctors had fled but those spaces were filled by volunteer doctors, either from the countryside or doctors from Aleppo who were very pro-revolution. ND: Did the workers there view you with suspicion, as they do so many journalists? NT: At first they were very skeptical of having me around. Many of the doctors and nurses were still working for a living in government-controlled areas and they viewed the cameras with suspicion. They didn’t want us to expose that they were helping and treating the opposition. But a lot of them were very warm, very open, very hospitable people. ND: You work for an Arabic television channel. Some of the Western outlets are worried about safety and won’t let their correspondents back in. What’s been the difference in coverage and experience in working for an Arab company? JM: Western media right now is totally interested in covering the Islamist groups. But with Arabic media, there’s less emphasis on the radical elements. The coverage will be more focused on the humanitarian crisis, on the people, and less on the military and Islamist fronts. And in the Western media it’s the opposite. In Western media, safety procedures are much stricter. For Arabic media, we go in, we don’t even have security advisers. Every team from a Western organization has safety advisers and I don’t know what. But [as Arab journalists] we speak the language and we know the people, and we don’t have the danger of being kidnapped as much. It’s safer for us. 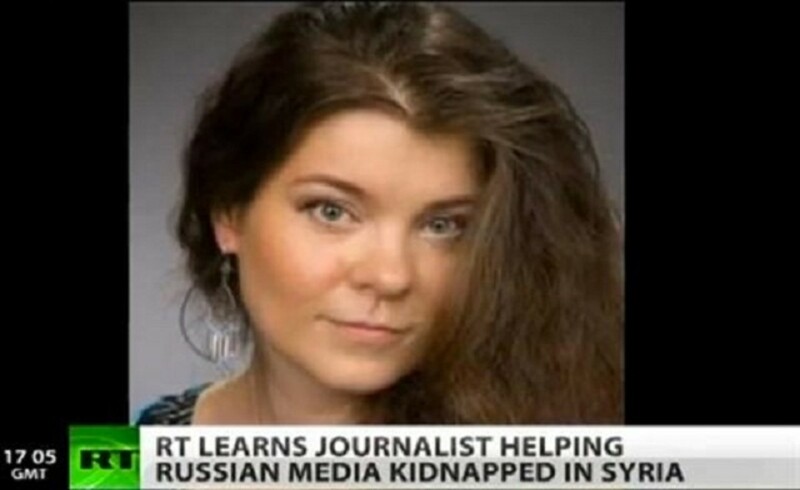 Russia&apos;s RT channel reporting, in English, on the kidnapping of Ukranian journalist Ankhar Kochneva last autumn. Kochneva remains a hostage. ND: How many Russians actually pay attention to the state-run Russia Today (RT) channel, to which Assad gave a big interview in November? ME: None. I mean, it’s an English language channel [which is a barrier.] It’s not really shown anywhere. Some people will watch it online, but it’s not really part of the conversation. ND: So why would Assad choose to give them an interview? ME: Their angle is pretty clear. I like watching RT and just sharing what RT is covering, because it’s as close an approximation as you’re going to get in English to what we see here on Russian-language Russian television. In particular, their coverage of Syria has been very similar to their coverage of Egypt, to their coverage of Libya, and now starting with their coverage of Mali, that everything that’s happening is part of some greater Western plot to reshape the world in America’s favor. And that’s a friendly view to what Assad would want to present. News Deeply: Describe the events surrounding your kidnapping. Témoris Grecko: The night before there had been a very heavy fight in a neighborhood of Aleppo called Ezaa; it’s on a hill and has strategic value. 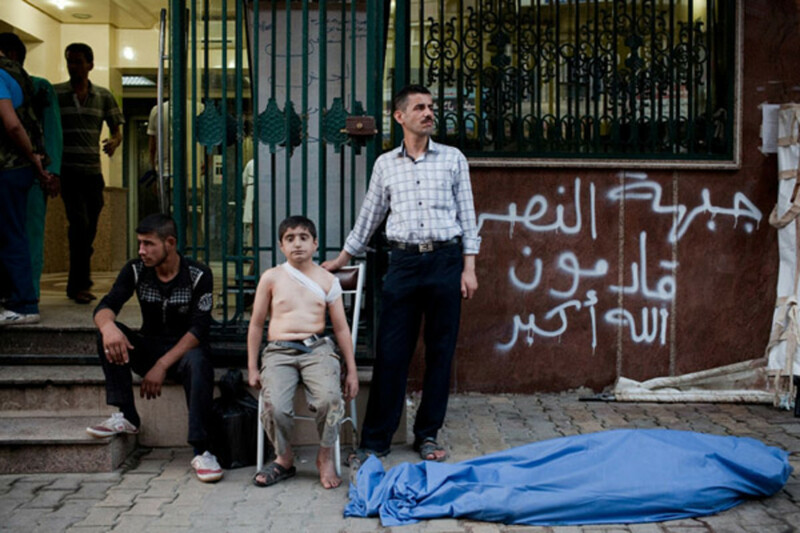 The Free Syrian Army had a hard time trying to take it last year. We used to live about a mile or so from this point. In the morning we went to see what had happened during the night. We were three journalists: a Hungarian, a Spaniard and I, accompanied by a translator and an armed guard in a van. We knew the place and had already been there. We knew the Free Syrian Army commander and several other militants who used to operate there. So although it’s on the front lines, we considered it relatively safe. We came to a corner where a sofa has been placed outside and it’s usually occupied by insurgents, keeping watch. This time, nobody was there. We found that strange. Suddenly masked men surrounded us with guns. They probably feared that we could shoot back and they were ready to shoot. The Hungarian and I weren’t beaten, but they beat the Spaniard on the face. They also assaulted our Syrian translator. Then they blindfolded us. A new study finds that people watch the news more for affirmation than for information.